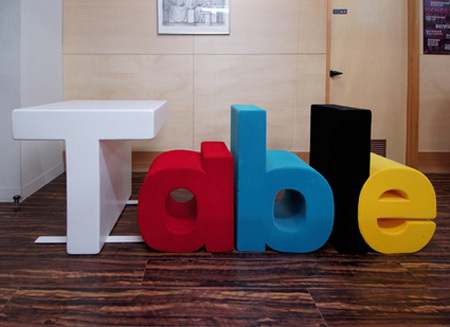 Collection of modern tables and contemporary table designs that will look great in any living room. 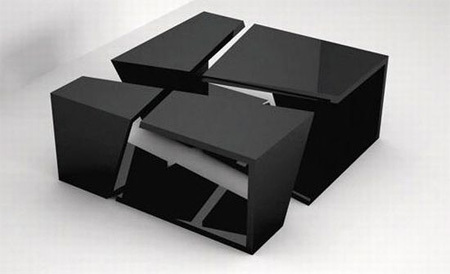 Beautiful modern coffee table design by Decode London. 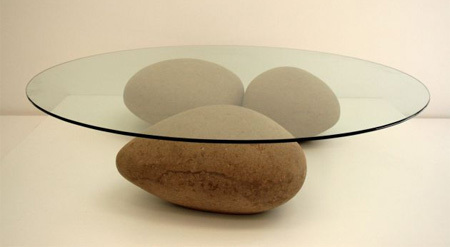 At first glance, the table by Brazilian designer Domingos Tótora appears to be made of rocks, but it is actually cardboard. 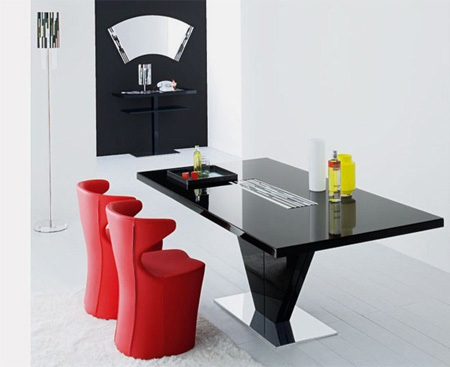 Sleek, chic and elegant modern dining table from Com.p.ar. Modern table with hexagonal form and round shapes designed by Stephan Wootton. Produced by artist Lee J Rowland, the contoured table top is the result of an arduous CNC 3D machining process followed by lap polishing, a technique responsible for some of the most perfect finishes on the planet. 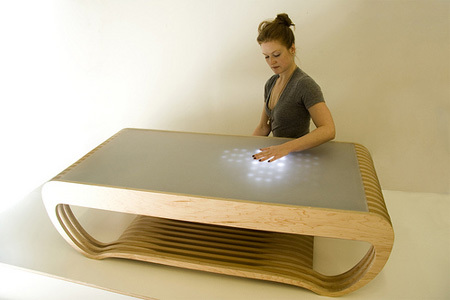 The Ripple is an interactive LED coffee table that respond to your movements. 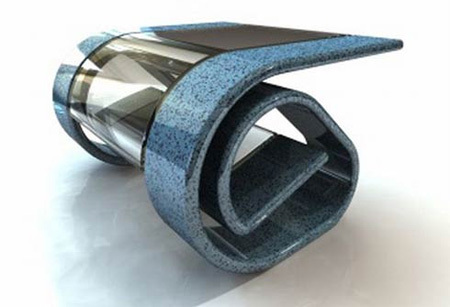 Unique table with storage compartment designed by Pedro Gomes for the Caesarstone Design Competition. 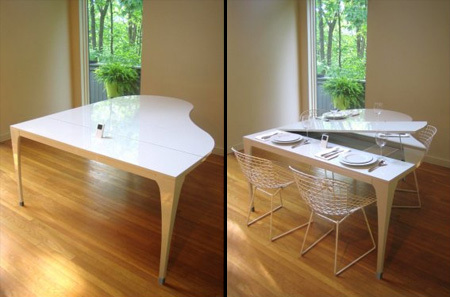 Piano inspired table by Nick Lovegrove and Demian Repucci includes an iPod dock with speakers under the lid and a drawer for cutlery. This one of kind coffee table is all wood and features a center opening where grass grows through the table. 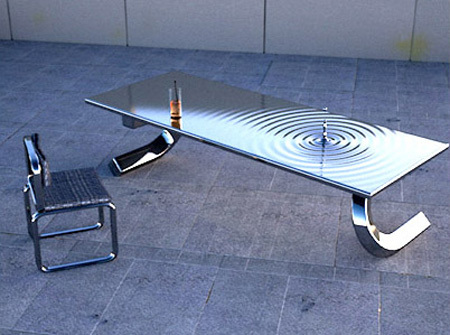 Contemporary glass table design by Romain Duclos. 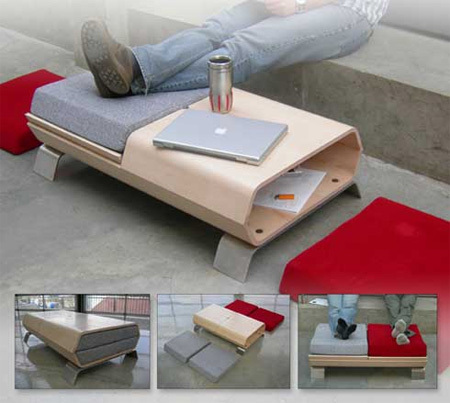 Coffee table designed by Bernard Vuarnesson comes with 4 pull out shelves that add significant capacity to the table. Literal interpretation of a table by Toshinori Kamiya of Kamiya Design. 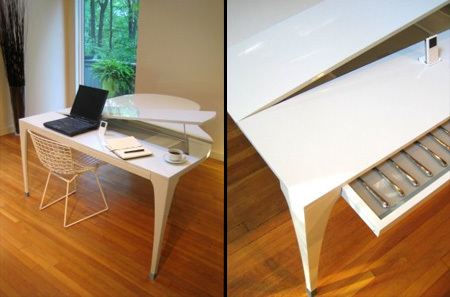 the ripple table is very cool :D i would totally buy the concerto table! Woha! Pretty nice indeed, some of them are just plain dumb and other simple, but nice overall! Very great creative ideas. Some are nicely way out of the box! I love the X29 Table! It’s just soooo awesome! Piano table is wonderfull. I’d buy it! I love the Ripple table, finishing is amazing! 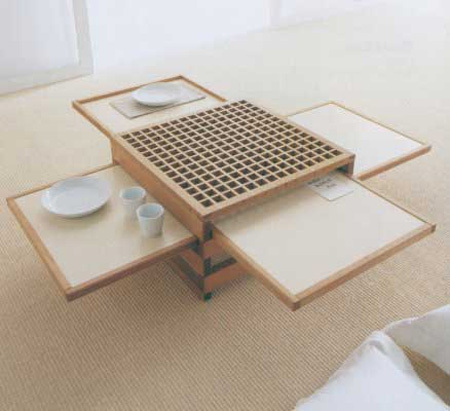 Very much a fan of the fuku/tton table. the ripple table is amazing and very aesthetically pleasing. 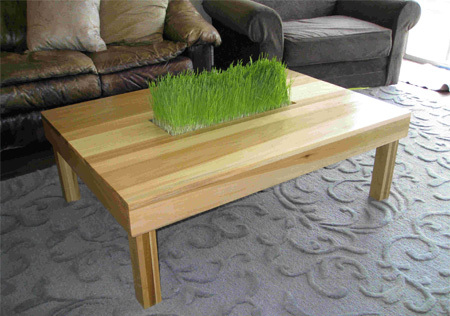 But the one I want for my home is the indoor grass table…so Zenish. It will improve my feng shui. the ripple one has 265kg and it costs 44,500pounds. it’s over 7meters long. These are awesome looking designs! reminds me of 2001 space oddysey movie.